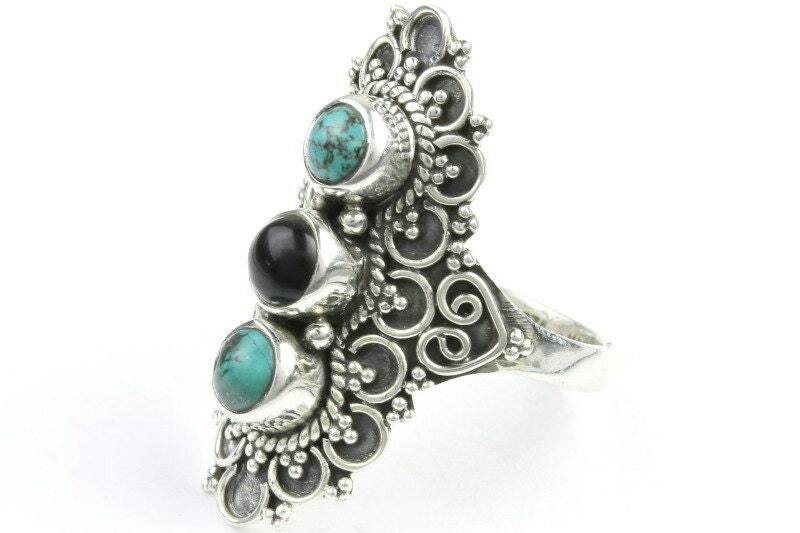 Intricately detailed eastern design sterling silver ring. 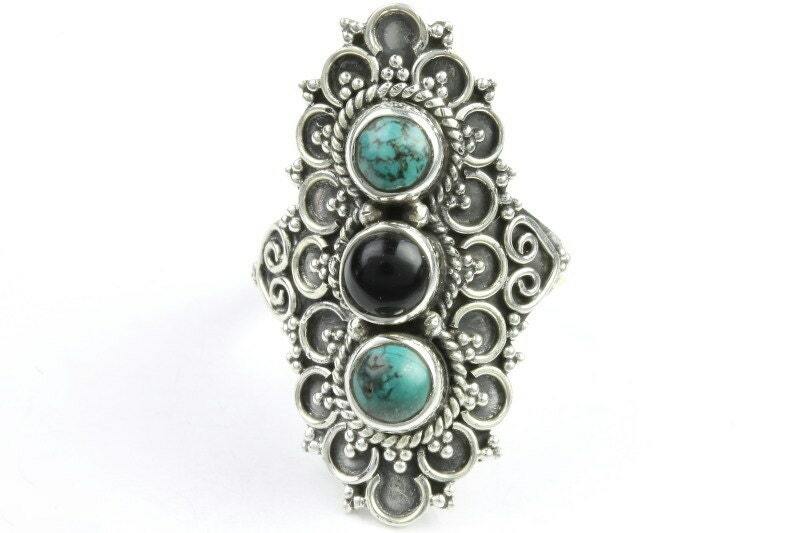 A series of turquoise and black onyx stones run the center of the piece. Gemstone is Turquoise and Black Onyx. This is a VERY beautiful ring! Love my new ring! Good quality and price. Love it! Wish half sizes were available BUT the full size works out just fine. Gorgeous ring! I will buy from here again and again!